I. Paul Singh, MD, shares an Ab Interno Canaloplasty (ABiC) case using the iTrack catheter (Ellex). What makes this unique is the external advancement of the catheter. 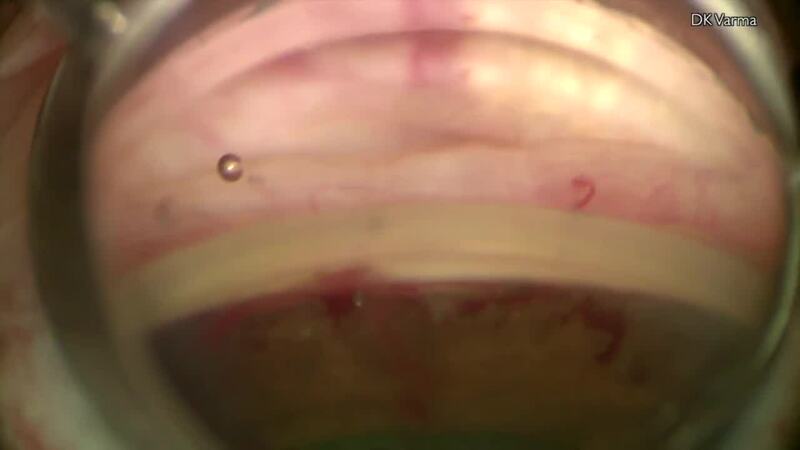 Normally, the catheter is advanced 360 degrees through the Schlemm canal while inside the eye. It can be daunting for some surgeons to have to maintain the gonioscopic view while advancing the catheter all the way around the eye. With this "external advancement of the catheter" (ABiC-EAC), once we have cannulated the canal with the catheter for 2 clock hours, we can turn the head back to primary position and then externally advance the catheter the rest of the way. This technique decreases the amount of time we are working inside the eye, thereby minimizing the potential for adverse events.